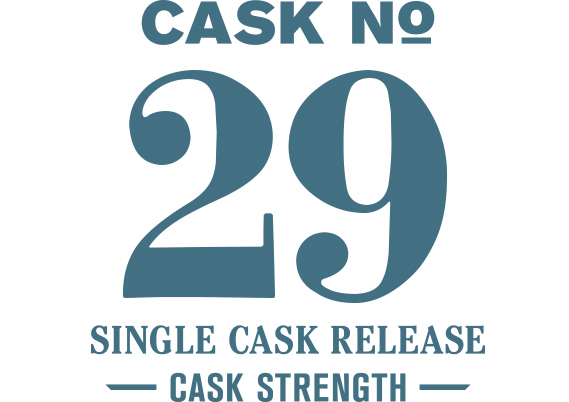 Casks #29 and #52 mark the first in a series of single cask releases from Westland. These bespoke single malt whiskies reveal a truth – making single malt whiskey is part science, part dead reckoning. And while we set out with a clear intention for the style of whiskey we ultimately want to put in the bottle, often times we have to let the whiskey tell us what it wants to be. These single cask releases are illustrations of that principle. Each whiskey in the series is hand-selected by our Master Distiller and bottled at cask strength. Each has proven worthy of its own voice by revealing a unique expression of our house style. As one of our first whiskies matured exclusively in used cooperage, Cask #29 can be said to be more traditional in style. Drawing less influence from the oak, Cask #29 accentuates the fruit and spices contributed by our Belgian brewer’s yeast during fermentation and, in doing so, exposes the softer side of our house style. The initial nose is soft and elegant even at cask strength, beginning with apple butter and sautéed peaches served in thick cream. The palate is dynamic, leading with salted caramel, cake batter and rose water along with an undertone of Hershey’s syrup throughout. Dilution brings some clarity to the fruit but also adds new flavors as well. Pineapple and dried mango evolve to blueberries, plums and apples while a distinct pure barley note reveals itself. Extended time sees the palate settle into whole grain pastries, cherries and flowers. The peated influence also begins to emerge now with a slight whiff of iodine and a puff of smoke.